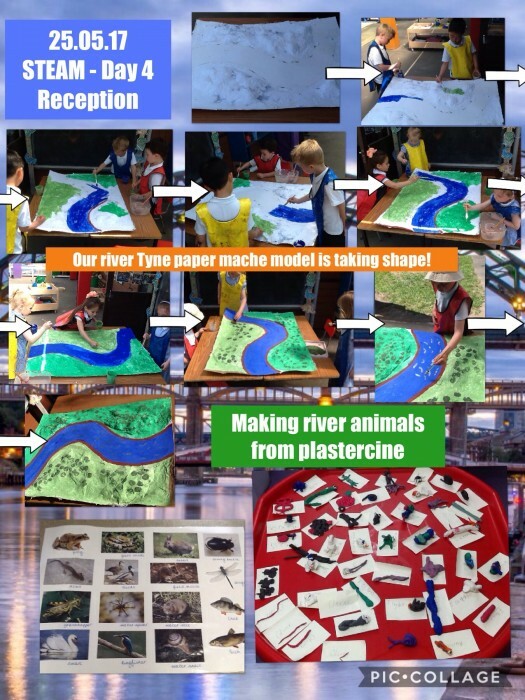 Redesdale Primary School » STEAM Day 4 in Reception, River Tyne paper mache model and plastercine river animals. STEAM Day 4 in Reception, River Tyne paper mache model and plastercine river animals. Reception children have been creative today investigating what animals they might find in and about the River Tyne and then making their choice through manipulating different colour plastercines for effect. We have also started writing our River Tyne poems and will be finishing these tomorrow.